Rachael Brown’s boyfriend found her on the side on the road, eyes bloodshot and hair dripping from the bottle of nail polish remover her mother had poured over her head. After a body-shaking cry in his car and a trip to the hospital to make sure her eyes had no lasting damage, Brown decided not to return home. She spent the next two weeks sleeping on her best friend’s couch, without the comfort of her own room or the support of a parental figure. This was not Brown’s first time couch-surfing. A stay with a friend in Grade 10 and a prolonged stay with her boyfriend a year later means that she understands what it’s like to live without the security of a reliable home. “It makes you feel really isolated because you don’t have any type of resources,” she says, sitting in her dorm room at Carleton University; her new and stable home. The Stats Canada study highlights common characteristics among people who have had an episode of hidden homelessness. It states that people with a past of childhood mistreatment, be it physical or sexual abuse, were more likely to experience a lack of secure home at least once. 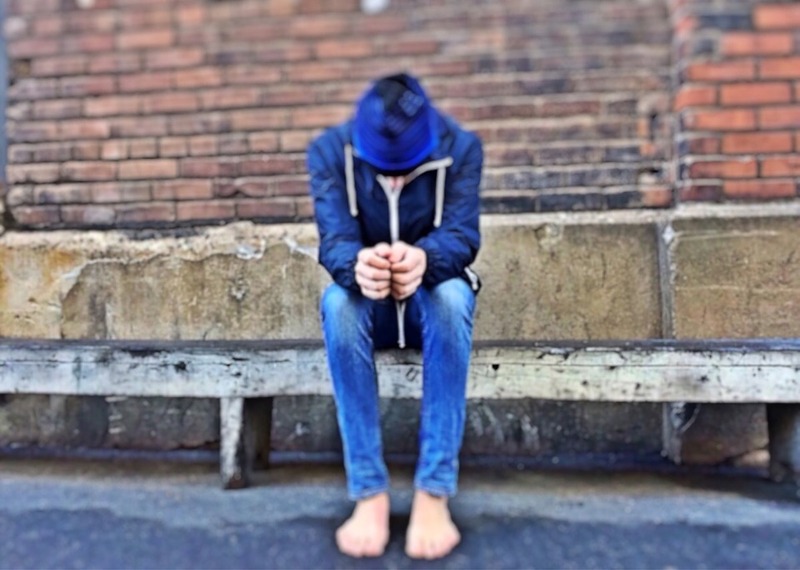 Out of the group of Canadians surveyed, 25 per cent of individuals who had been both physically and sexually abused reported facing hidden homelessness. People with disabilities, particularly with a mental or psychological illness or a learning disability, at 21 and 20 per cent respectively, were also at a greater risk. 18 per cent of Aboriginal people surveyed reported having an episode of hidden homelessness, compared to the eight per cent for non-Aboriginal people. It is the disproportional numbers of Aboriginal people, youth, and women who face homelessness which Erin Dej, a Postdoctoral Fellow at the Canadian Observatory on Homelessness finds so concerning. Dej points out that since the 1980s, there has been a growing focus on privatization of social services– meaning the government started limiting resources to at-risk groups. Without the services many people facing trauma, mental illness, or other factors need to remain in steady employment and housing, the risk of homelessness is increased. For Moira Davis, who has interacted with many hidden homeless individuals as a youth outreach worker at Ottawa Innercity Ministries, the shortage of affordable, supported housing is a contributor to the gross number of youth and young adults who are forced to rely on others for shelter. “Youth who do want to get out of couch-hopping situations can’t afford it because housing is so expensive here,” she says. In Brown’s case, a more permanent home took shape in her move to residence life at university; away from her troubled relationship with her mother, and towards a future where she won’t have to call upon the support of friends to find safe shelter and the comfort of sleep.